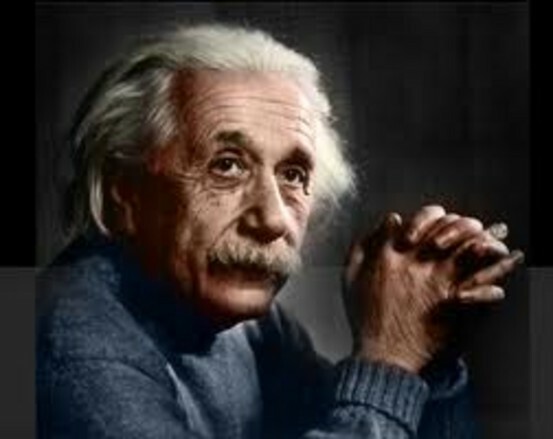 Inventor of the Theory of Relativity, he won the Nobel Prize and played the violin. has launched millions of minds into an exploration of the universe and themselves that has added immeasurable insight into who we are. 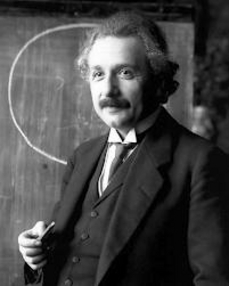 It has been reported that When Einstein was teaching at Cal-Tech he wanted a new violin so he got his pal Jascha Heifetz to go shopping with him and they went to Stein on Vine. 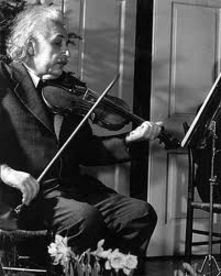 They'd worked out a duo to try violins, but Einstein kept missing his entry point, and Heifetz turns to him and angrily says, "Can't you count?"